New Adelphi is a landmark building that is the focus for arts and culture on campus. The space has been carefully designed to inspire and motivate; housing the music, performance, art, design and architecture students and providing a rich environment to stimulate curious minds. A TV studio is just a large empty room with a lighting grid overhead, everything else is usually brought in for each TV production. Studios are usually either purpose built spaces or adapted industrial buildings which must be sound proofed and have high ceilings with large access doors so that scenery and equipment can be easily brought in when required. Theatre stage lighting is designed to make the stage performance visible to the audience, but the method used to light the stage will impact on the way the stage picture is perceived and should reinforce the overall dramatic impact of the production. Drama by Design has been appointed by BAM Construction to project manage the specialist installations for the University of Salford’s new Gateway building. 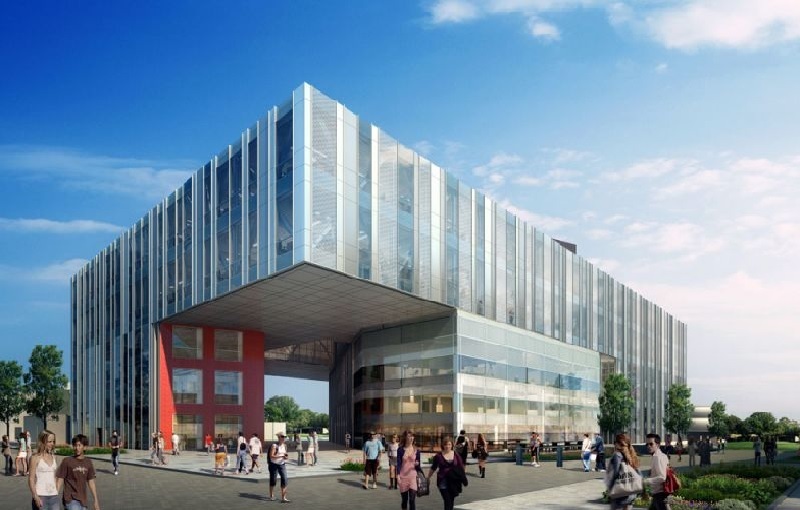 This state-of-the-art £55m building will transform student life at the University of Salford when it opens in early 2016. Drama by Design has been appointed by Sheffield College to work with architects Race Cottam on the design of a new build creative media and performing arts building. Drama by Design has been appointed by AA Projects as theatre design consultants on the complete refurbishment of the College theatre performance space. Drama by Design have been appointed as theatre, performing arts and creative media/TV Studio design consultants on the Barnfield College New Bedford Road project.